Wrecks, Subscapes, and Marine Life: Stop this Looting Now !!! Stop this Looting Now !!! 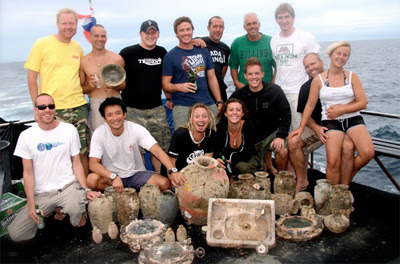 Shipwrecks in Thailand are being looted by a number of foreign dive operators based in Koh Tao. Read this article "Into murky waters" in the Bangkok Post. Among the many ships being stripped of artifacts is the H.T.M.S. Pa-ngan, a Thai Naval vessel that sunk while transporting explosives recovered from Chao Phraya River. She has been systematically looted with portholes and china being removed. "Got a load of lovely officers’ Royal Thai Navy chinaware from deep inside the HTMS Pangan. It’s white, navy blue lines with gold leaf line and crest. Only got about 50 pieces so far and the room is still full." This shows great disrespect to your host country.